Fabulous 4 Br/2.5 Ba, plus loft home with three-car garage. Formal Living/Dining Room. Family room opens to large kitchen w/breakfast bar, dining area and all appliances. Powder room downstairs. Bedrooms and loft are upstairs. Large master w/sitting area & double-doors - split from other rooms. Master bath w/dbl. vanity, shower/tub, private toilet room, linen closet & large walk-in closet. Inside laundry room w/shelves for pantry storage. Large backyard. Plenty of storage space, even under stairwell. Short walk to parks, biking/walking paths & Cimarron Springs. Close to Loop 303, shopping & restaurants. 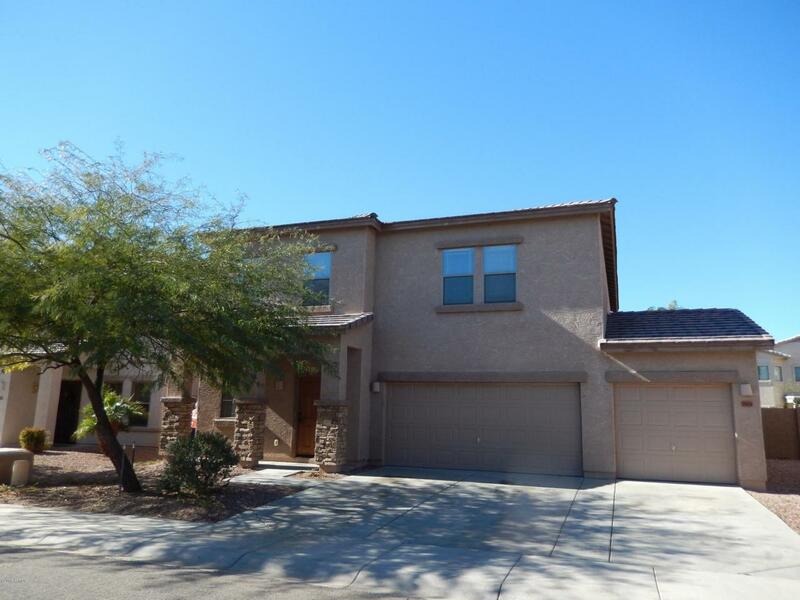 Wonderful family home in Surprise Farms. Cross Street Greenway Rd. And Cotton Ln. Listing courtesy of First Road Property Advisors, Llc.